Everybody remembers the Queen’s ‘Annus Horribilis’, but what do 'quid pro quo' and 'habeas corpus' mean? Why do plants have Latin names? Why do families, towns, countries and even football teams have Latin mottoes? What do the Latin epitaphs in churches say? What are the words of Mozart's 'Requiem'? These are just a few of the topics covered in this book. As Mark Walker makes clear, present-day English is still steeped in its Roman and Latin origins. 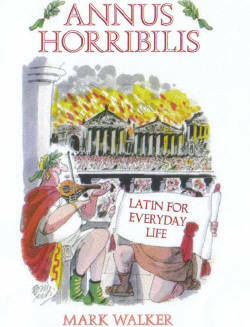 As a result English still has many thousands of Latin words in everyday use.